This outfit, and more specifically this shirt, have been my serious go-to these days. 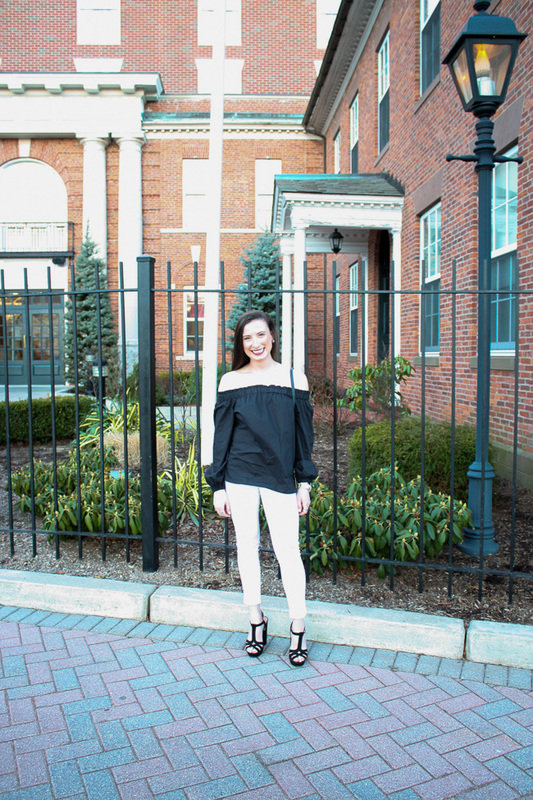 I am totally guilty of wearing it out two weekends back to back, but I just can't help it as it quickly became a go-to and staple in my closet! It is easy, fun, and just adorable, so it totally wins in my book. 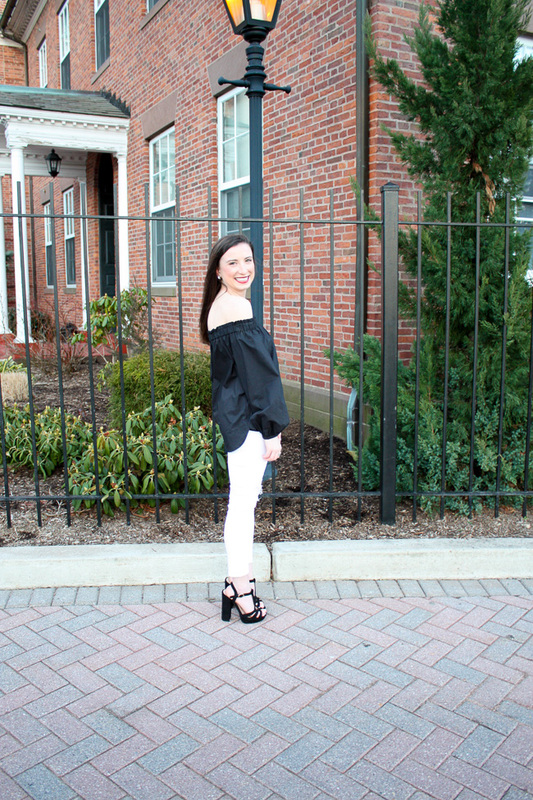 I quickly became a sucker for the off-the-shoulder trend last season, so I am thrilled that the trend has stayed strong this year. 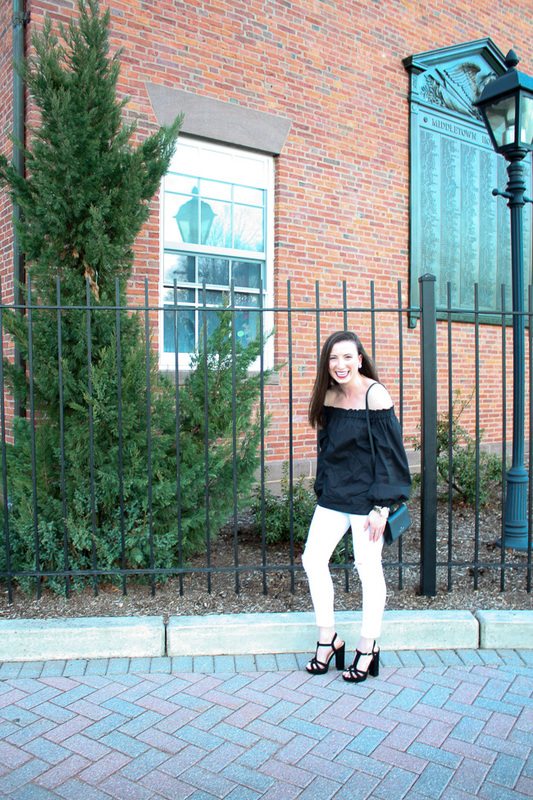 It looks like off-the-shoulder pieces are here to stay another season longer, and I plan on taking advantage of it. J.Crew knows how to do everything just right, so it was no surprise that I fell in love with this top the instant I saw it. The long sleeves are ideal for the still chilly weather, and I knew the black would be perfect not only this time of year but also for the spring and summer. 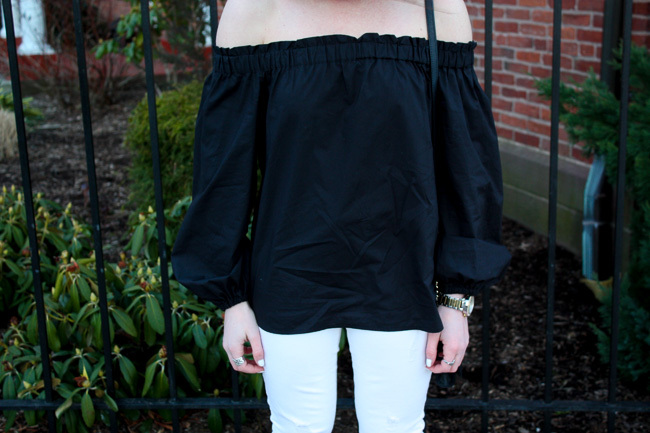 As much as I love the black, this pretty off-the-shoulder number also comes in white and a gorgeous fiery red. You really can't go wrong with any of them! As I said, this top has become my go-to and it is a serious staple that you need in your wardrobe. I highly recommend snagging one before it's gone! I linked the shirt and the rest of the outfit details below. Sadly the shoes are from my trip to Spain, so I was unable to find the exact ones, but I linked a few that are similar and just as cute. Check out all the details below - enjoy and happy shopping!